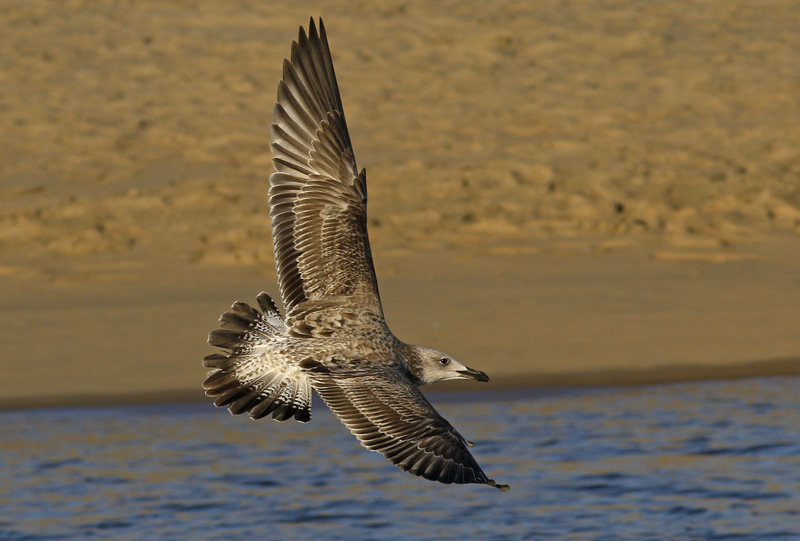 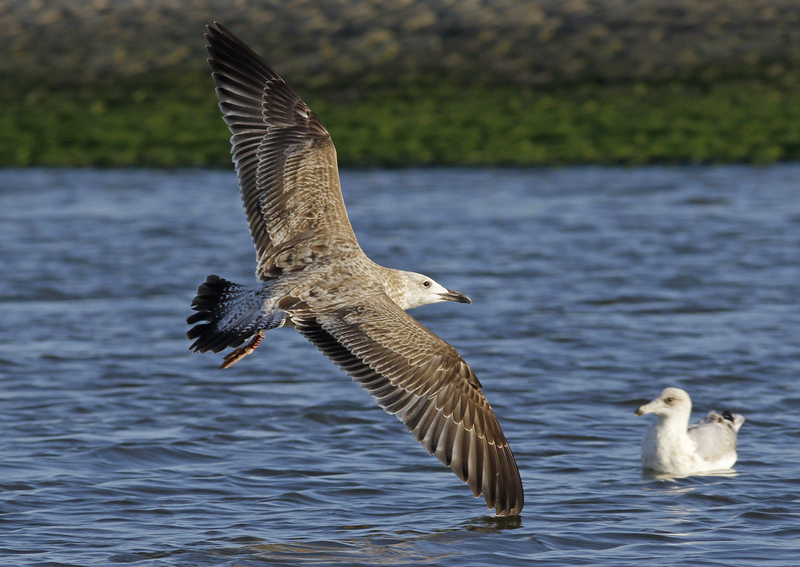 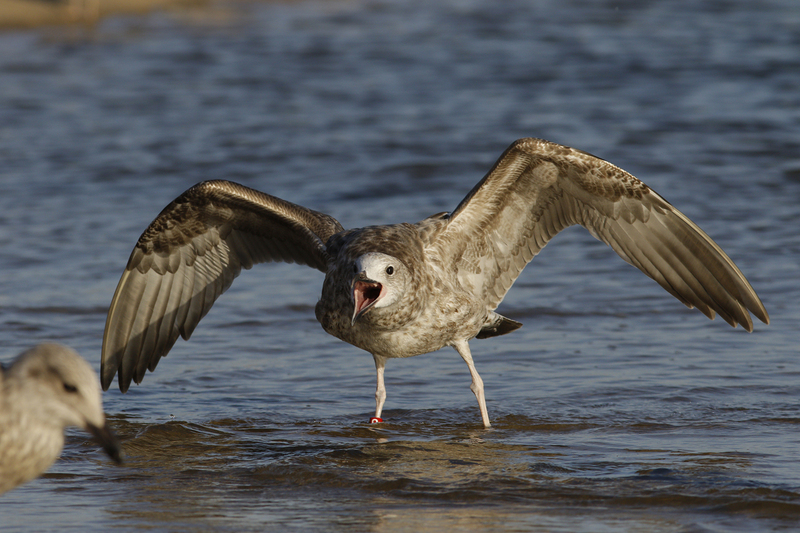 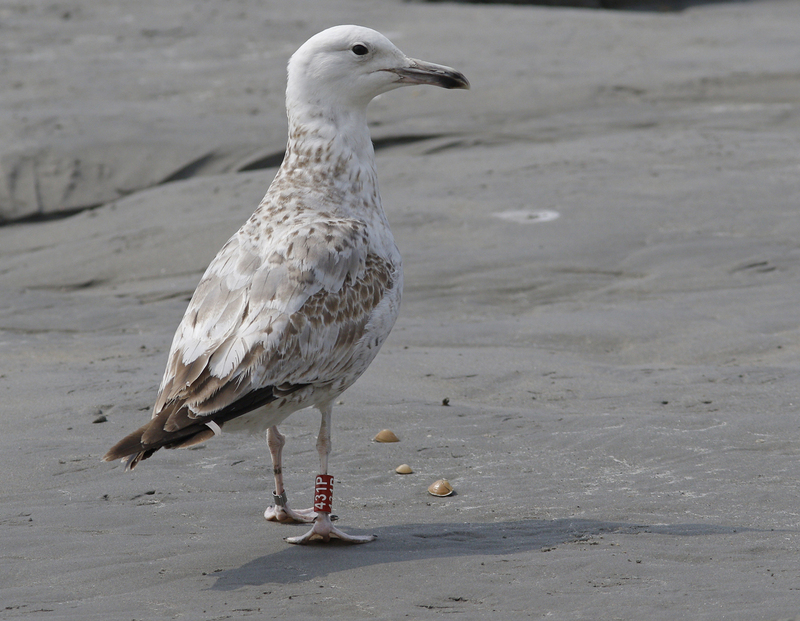 Larus cachinnans 431P 1CY-2CY, September 2016 - June 2017, Katwijk, the Netherlands. 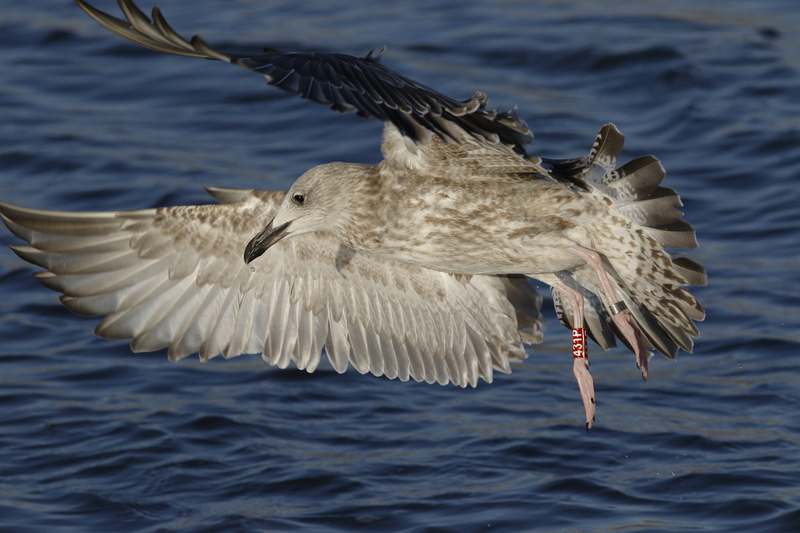 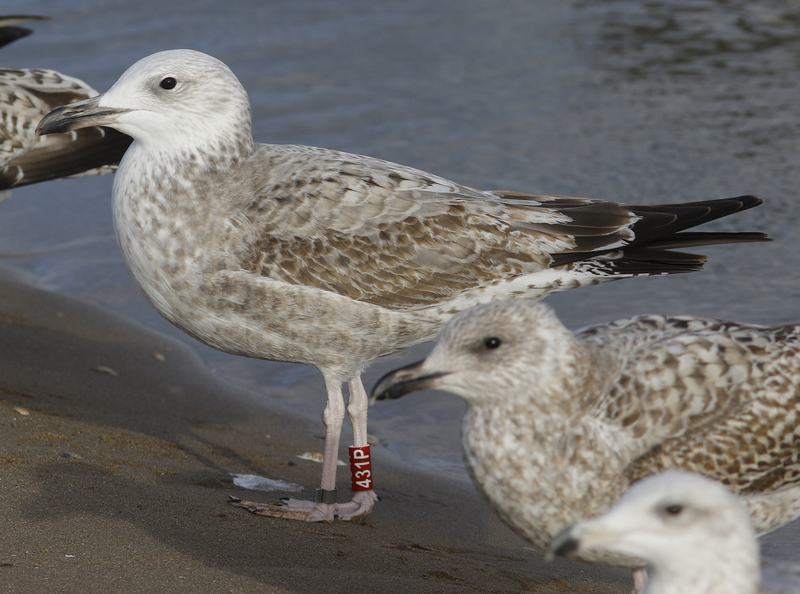 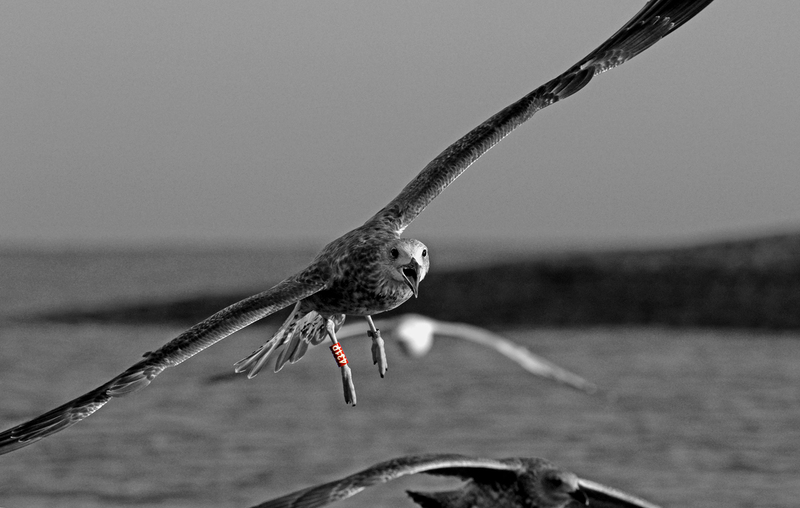 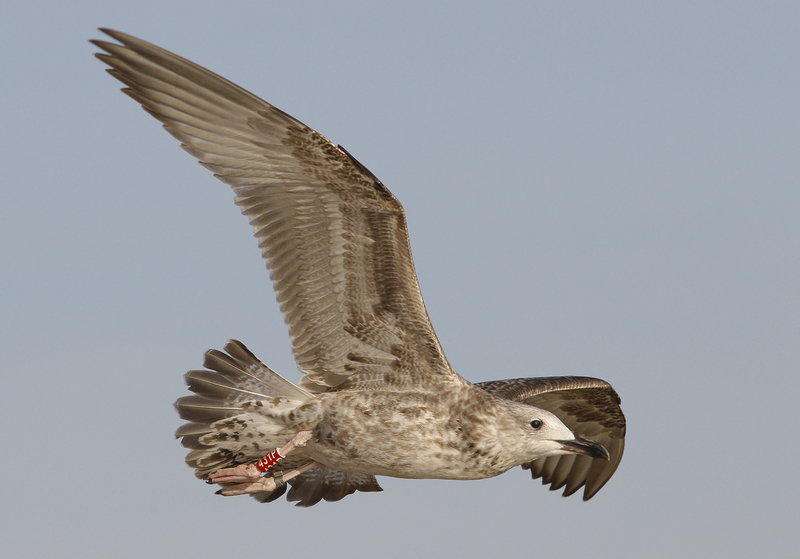 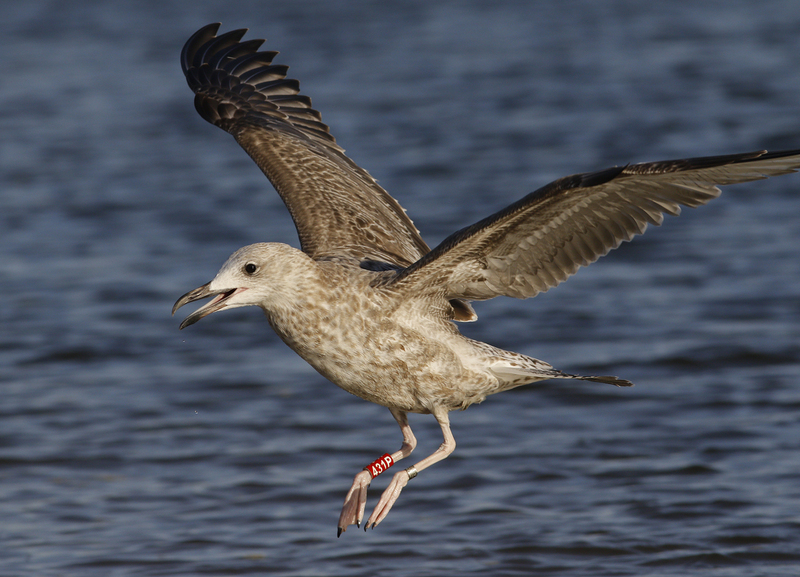 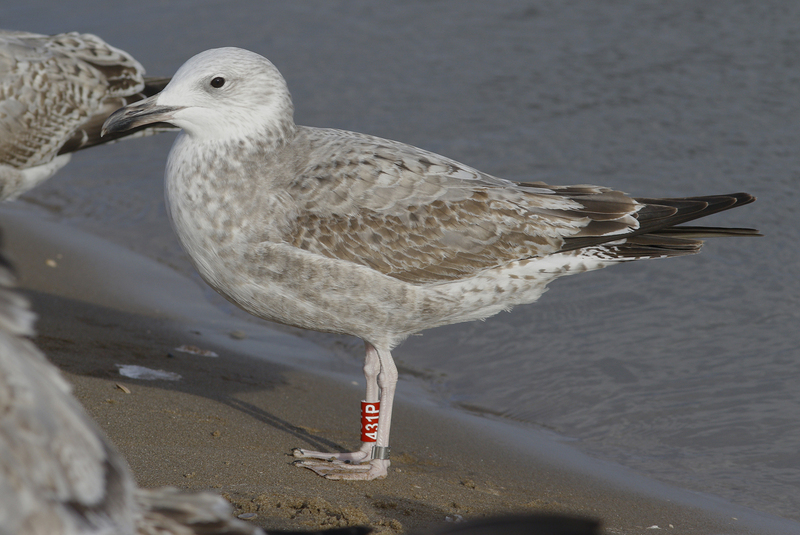 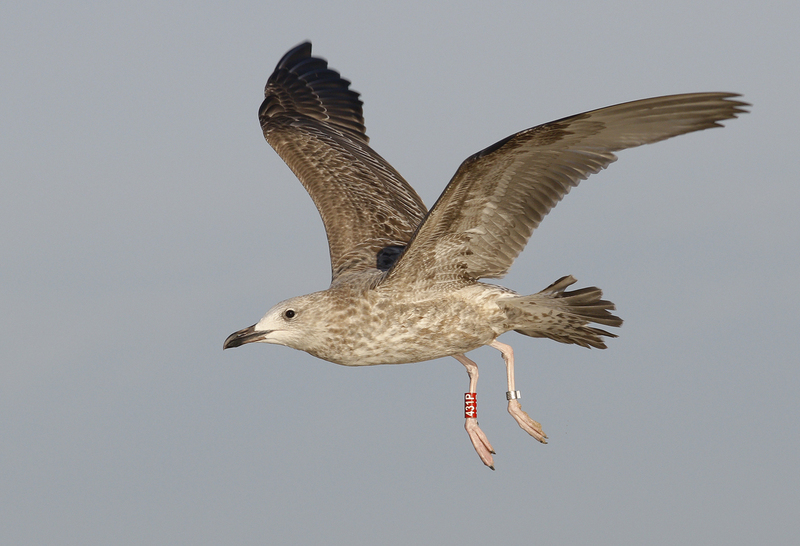 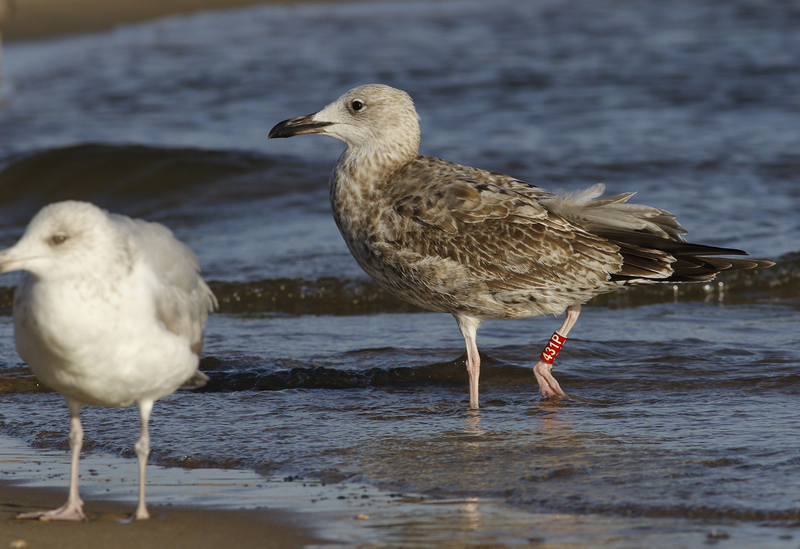 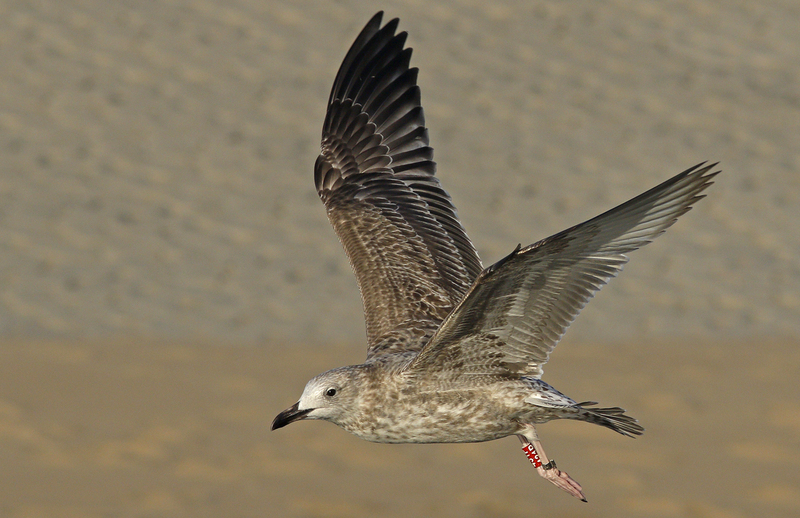 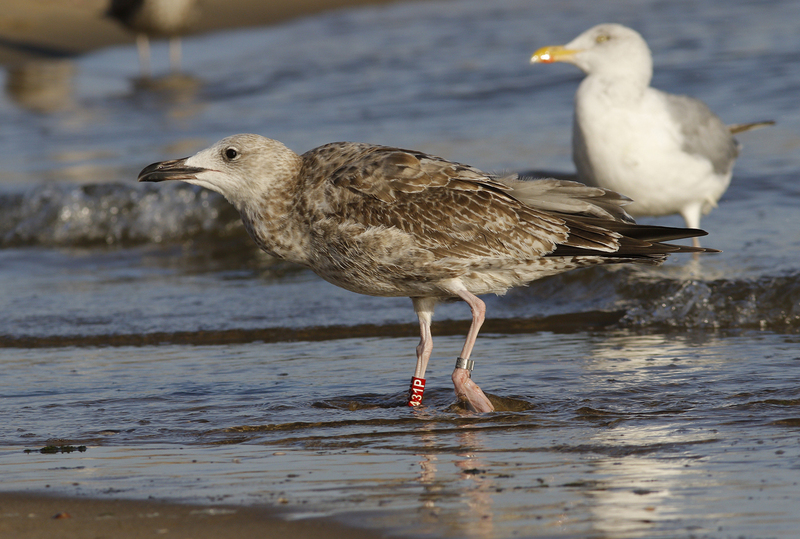 Red 431P, ringed as pullus on May 26 2016 at the largest breeding colony in Poland - Zastow Karczmiski, Vistula river, Lubelskie region. 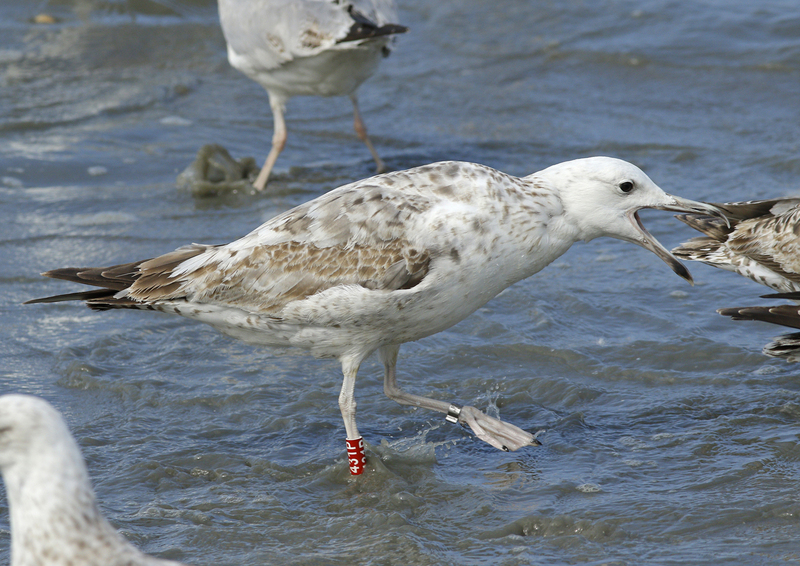 Ringed by Łukasz Bednarz. 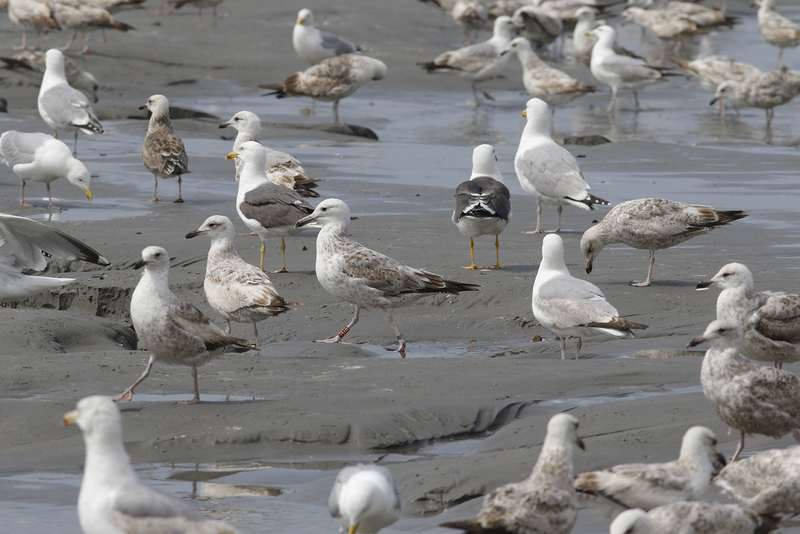 below: Larus cachinnans 431P 2CY, June 02 2017, Heemskerk, the Netherlands. 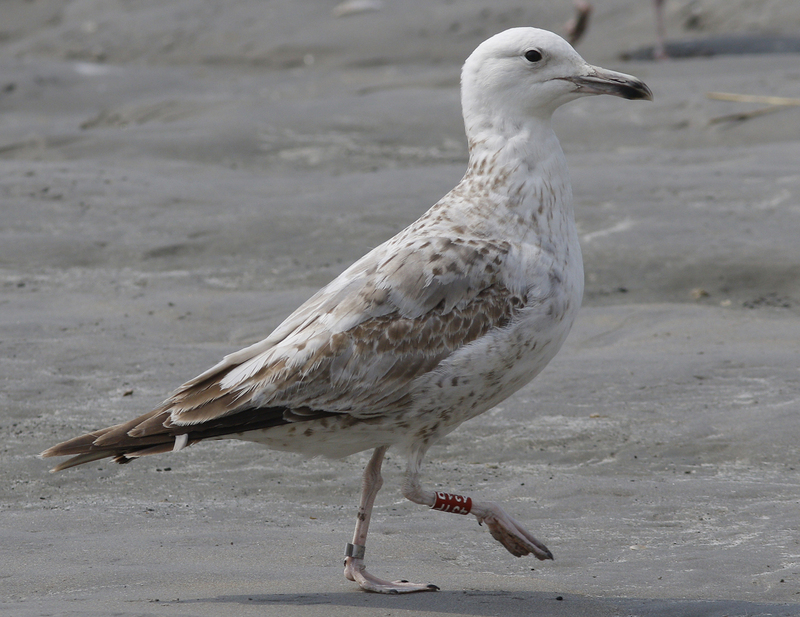 below: Larus cachinnans 431P 2CY, May 29 2017, Heemskerk, the Netherlands. 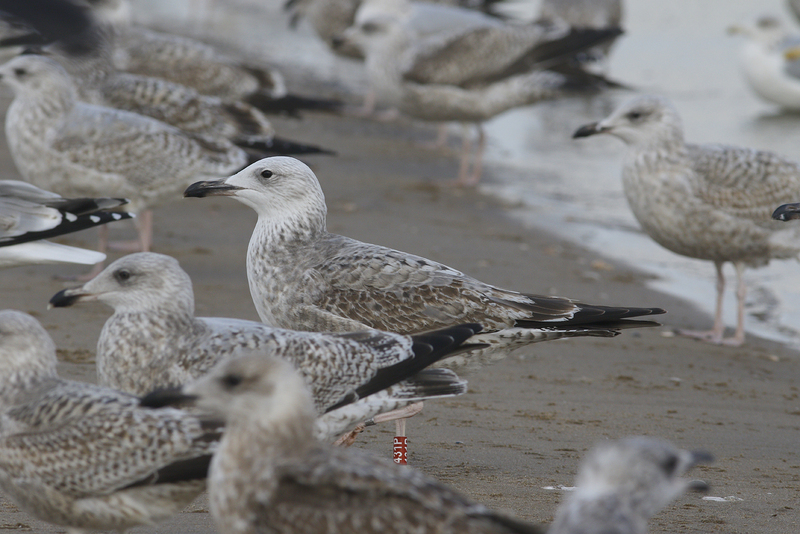 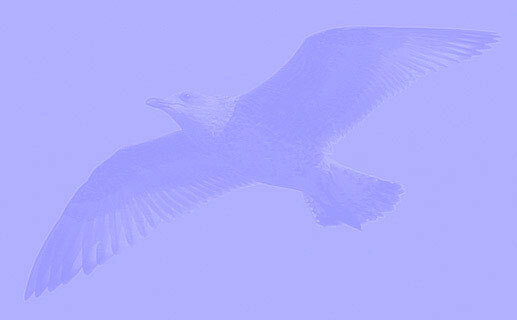 below: Larus cachinnans 431P 1CY, November 16 2016, Katwijk, the Netherlands. 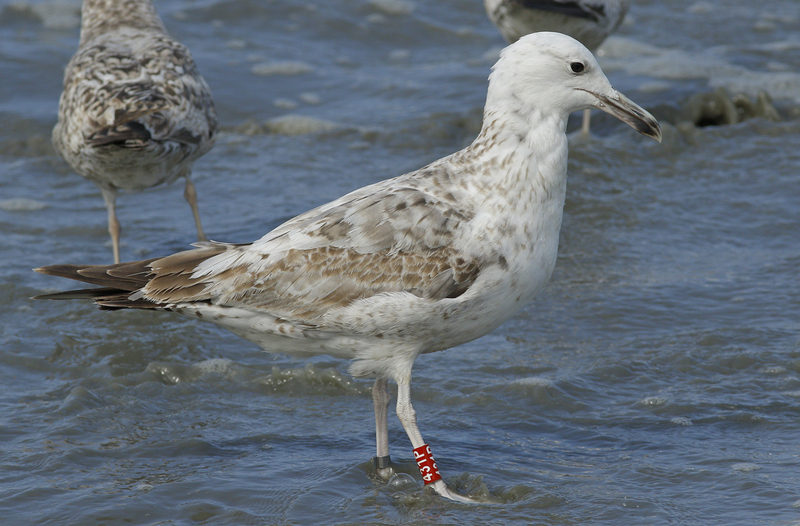 below: Larus cachinnans 431P 1CY, September 10 2016, Katwijk, the Netherlands. 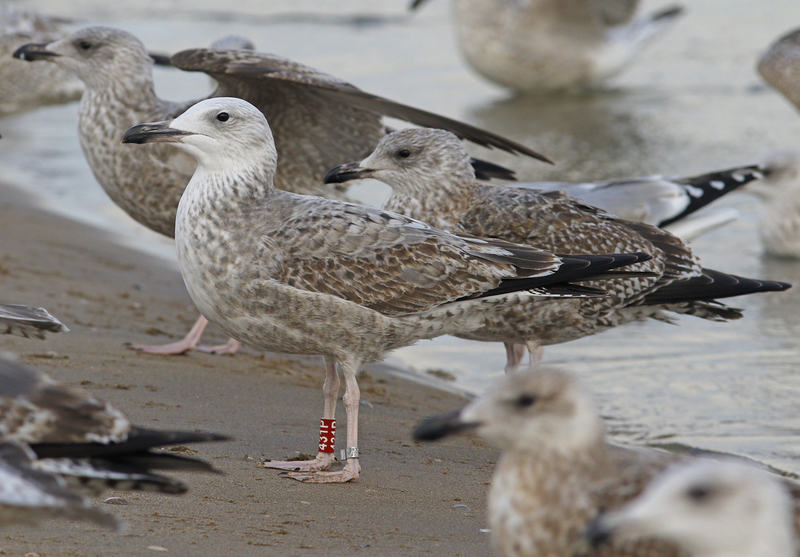 On voive, typical cachinnans, but rather muddy brown in its plumage and relatively heavily streaked on the head.